MONK Optical Systems is a division of MONK Conveyors Limited. We are a privately owned British company established 25 years ago. We have been supplying systems to the Spectacle lens industry for the past 15 years, so we have accumulated a vast amount of knowledge of this specialised industry. We have a very strong engineering background with a great deal of knowledge of both conveyor systems and machines. 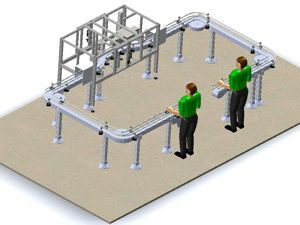 Our handling systems are mainly built using our range of standard modules. 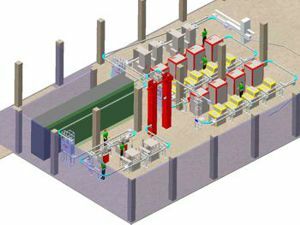 This means that a unique handling system mainly uses well proven modules enhancing the reliability and long life of your system. 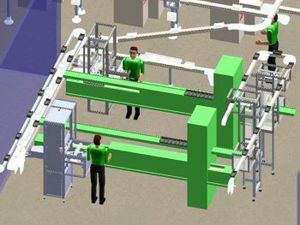 3D Cad Drawings: Monk Conveyors designs systems using 3D CAD software Solidworks. 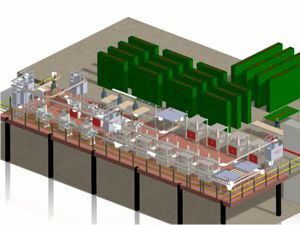 We are able to provide 3D drawings at the sales stage, which means customers can easily visualise the proposed system. 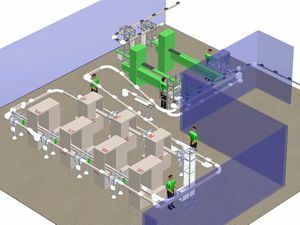 Complex layouts can be viewed from different angles, customers product can be shown on the system. This brings to life the proposed solution and can also help the customer explain proposed changes to staff. 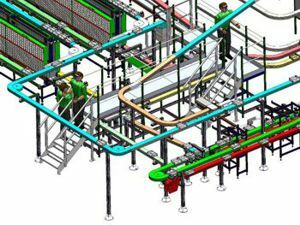 Our 3D CAD is a valuable product to design and build the final system, allowing us to assemble components, build the system around your existing factory and highlight any potential problems. Our systems use PLC control with distribution software, sensors, pneumatics and electrics. Our installation and service team are always ready to give for full support and training both locally and internationally. Our Goal is to provide cost effective solutions which add value to your business, and to leave you as a satisfied customer.